The operating budget lists the income and expenses that your business generates after startup. The most important reason for preparing an operating budget is that it enables you to assess whether your personal finances have been properly provided for. You normally prepare an operating budget for a year at a time. The term sales refers to the amount (excluding VAT/moms) that you receive from your customers when they buy a service or product from you. 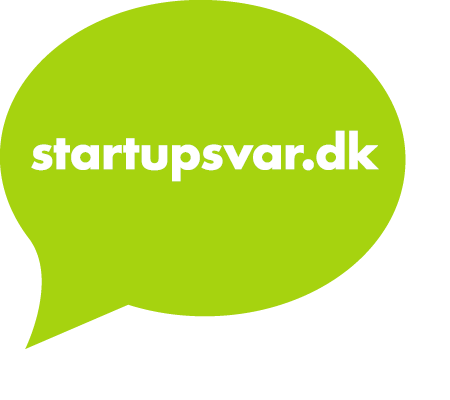 If you expect to supply a customer with five hours of consultancy work at an hourly rate of DKK 500 excluding value added tax, this service will be entered as revenue of DKK 2,500 in your budget. The reason for your revenue not being DKK 3,125 is that the DKK 625 in value added tax/moms has to be paid to SKAT, the Danish Central Tax Administration. From your sales, you first have to deduct the costs directly associated with your sales. This means that the more you sell, the higher your direct costs will be. Selling 50 pairs of trousers also means having the cost of buying 50 pairs of trousers. If you sell 400 pairs of trousers, you will also have to buy and pay for 400 pairs of trousers. If your business is based on trading in goods, you will have high expenses under this item in the budget. If, on the other hand, you are a psychologist who sells therapy sessions, your variable costs will often be zero. This will also be the case for many other service businesses, even if there are a few expenses that can be described as direct costs. If you have a cleaning firm, cleaning materials and detergents can be said to be directly linked to sales. If you sell analyses that have to be supplied as written reports in five copies, paper is also a direct cost. However, the cost of paper, for example, will be so small relative to your sales that it will be included under fixed costs. Having high direct costs in your budget is not a problem. It is simply an indication that revenue is high too. The difference between your sales and your direct costs is called the gross profit or contribution margin. The amount calculated by deducting direct costs from sales is a key figure. The figure tells you how much money is available to pay for all your fixed costs. If the figure does not cover fixed costs, your business will make a loss. You then have to deduct your fixed costs from the contribution margin. Fixed costs are expenses that do not go up or down in direct relation to sales. Rent is usually a fixed cost, as it is not affected by whether you sell 50 pairs of trousers or 400. The same applies to many other costs, although the individual expense items may well vary. A telephone bill is a fixed cost, even though it varies from month to month. This is because the telephone bill is not directly linked to sales volume. When you price up the things that you believe are necessary in order to run your business, remember that the prices you enter in the operating budget should be exclusive of VAT. This is because what you pay in VAT/moms will be refunded by SKAT, the Danish Central Tax Administration. If you have taken out a loan in order to start your business, you can deduct the interest on the loan as a business expense. In the case of large investments you can deduct the annual decrease in value as a business expense. When you prepared your start-up budget, you may have discovered that you needed to borrow DKK 100,000 from the bank. If the bank agrees to the loan at an annual interest rate of 10%, it means that you can deduct DKK 10,000 in interest. You cannot, however, deduct the repayments, which have to come out of your own pocket. If you have to make large investments such as extra powerful computers, a car, real property or costly production equipment, you can deduct the annual decrease in value as a business expense. The pleasure and challenge of having your own business is, of course, enhanced if the business also makes a reasonable profit. And not a profit that only just covers your living costs. The business should have sufficient financial solidity to be able to survive downturns. The aim should therefore be for your business to generate a profit which not just puts food on the table, but which also provides scope for development and consolidation – and a few extra welfare benefits for the owner. If you have set up a private limited company (ApS) or entrepreneurial limited company (IVS) the profit is not equal to your salary, as you will be employed as an ordinary salaried employee in your own company. The budget follows the structure explained above. I like computer games and I treat business a bit like a computer game. I count money as points. Iâ€™m doing really well: making lots of money and lots of points.